High-quality shirt for little folk fans. 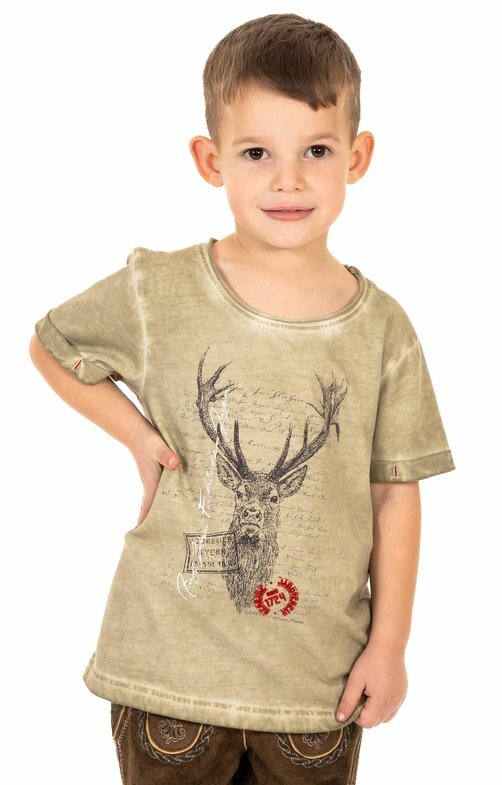 The cute, beige traditional children's T-shirt by Marjo is made of easy-care cotton and is comfortable to wear. The front is adorned with a cool deer motif and hunting-related lettering. In the upper back area a hunting horn sets traditional accents. This durable top from our shop fits perfectly with traditional trousers or jeans.